Reading these kind of posts reminds me of just how technology truly is undeniably integral to our lives in this day and age, and I can say with 99% certainty that we have passed the point of no return in our relationship with technology. I don't mean this in a bad way, of course! Societal concerns aside... I just hope that as technology further innovates, the possibility of uploading our memories onto a digital medium becomes a true reality. It's a fantasy that I dream about all the time. 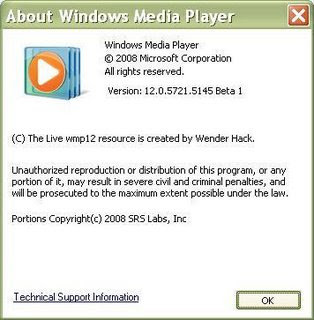 You are viewing "Windows Media Player 12 Beta"